Education | Did We Do Something to Deserve This? Jana: I was a feminist child. Here is what that means: as a little girl, I was a subscriber to and avid reader of “New Moon”, which was a magazine by girls and for girls that talked about how to be an empowered girl. The only stuffed animal I cared about was my stuffed pig, aptly named “Piggy,” and the most important thing about her, in my mind, was that she was a GIRL. This was a major point of contention when I introduced Piggy to new people – I found that people assumed that Piggy was a boy unless I specifically indicated otherwise, so I made sure to always discuss her gender during introductions. 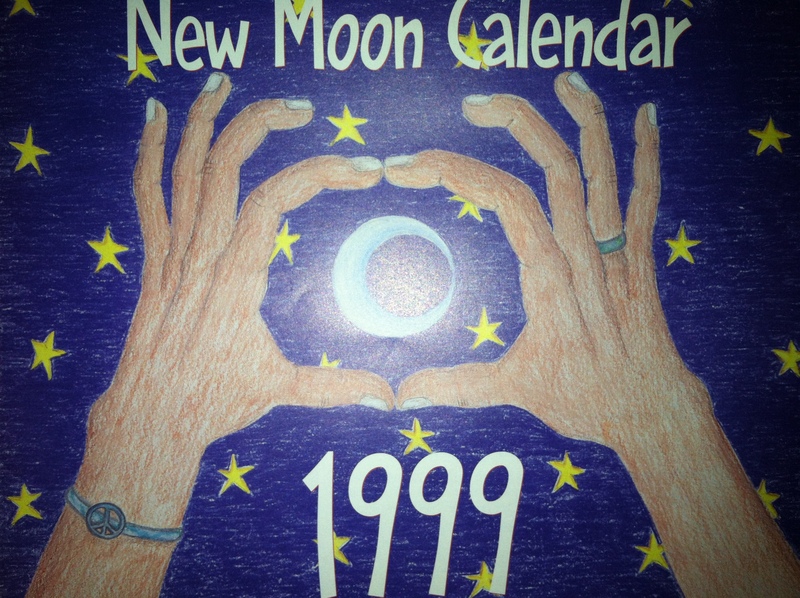 “New Moon” also made calendars. In 1999, I cherished mine. I played sports with the boys at recess, and I was always ready to yell at anyone who had something to say about boys being better than girls at anything. I thought of my lack of personal hygiene as somewhat of a defensive stance against society’s insistence that girls be pretty. And I was NOT ok with popular music that put women down. This? All this? The clothing and, I can only assume, the wrist guards? My feminist cause. There is one incident in my life that has come around to haunt me many times, and it occurred in the fourth grade. That year, my entire class took a trip to “The Farm.” As the name suggests, The Farm was just – yup – a farm, located in New York State, and every year classes from my hippy private school took week-long trips there. For one week, we helped milk cows and herd cows and garden and cook. Despite some extreme homesickness and massive amounts of complaining about the healthy food, I mostly loved it. In fourth grade, though, a new boy had joined the class; I shall call him Dave. Dave was, for lack of a better word, contentious. He was misogynistic only to the extent that a fourth grade boy can be misogynistic. In handwork class (yes, everyone took “handwork”), while we sat knitting hats, he talked loudly about how HOT Tyra Banks was. For reasons that I couldn’t exactly identify, I was offended. He played soccer with me and the other boys at lunch, and he was openly surprised that I wasn’t terrible. I was offended. Basically, he was just always gettin up in my face about how cool boys were, and I saw it as my personal duty, on behalf of my gender, to take him on every time. So, we took our trip to The Farm. As luck would have it, Dave and I were put in the same activities group. One afternoon during a free play period, the whole group was hangin around on the tire structure (which was GREAT). He started singing a song that was popular at the time: “One, two, three, four, get your woman on the floor,” he sang. BRRRRRRINNNNG! Went the Feminist Alerts in my head. I felt my face get hot. Get “your” woman “on the floor”? Oh HELL no. First of all, no one would EVER call me “his” (I’d read numerous stories about this in “New Moon”). Secondly, get her on the floor? Come on. This is the 90s! You can’t just PUT your woman on the FLOOR (I think I also sensed something sexual about that line, but couldn’t define it, but figured I should be mad about it). I yelled these things at him. He sang louder. I said he had BETTER STOP. He sang even louder, and got his buddy to join in. Finally, seeing no other recourse, I kicked him. In the balls. I wasn’t AIMING for his balls, that I can remember. I was just kicking! But, that’s apparently where it landed, and I guess it really hurt. Anyway, he told on me. We had a long meeting with the teacher, during which I SOBBED. I wanted HIM to apologize. He did, but I could tell he didn’t mean it. “Not just to ME!” I insisted. “Don’t you understand that this is about women everywhere?” He looked at me like he hated me, and like he wanted to get back to the tire structure. Addendum: I, seriously and honestly, wrote my college essay about this incident. I’m also not sure why. WHY DON’T I HAVE A TIME TRAVEL MACHINE TO SEE TINY JAN KICKING A KID IN THE BALLS.